webOS 2.0 is the most significant update to webOS since the release of the Palm Pre 2 (See a history of webOS updates here). We've previewed the features of webOS 2.0 already, but now we have a pre-production Palm Pre 2 in-hand and have a full review of HP webOS 2.0 for you - including Stacks for multitasking, Just Type for search and actions, Flash(!) 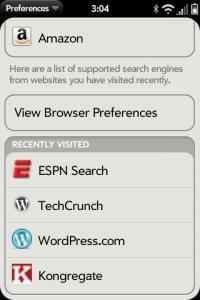 for the web browser, and much much more. Palm has announced the Palm Pre 2 is coming to SFR in France on Friday, Verizon in the "coming months," and also that they'll be releasing an unlocked, UMTS developer version of the Palm Pre 2. In other words, SFR customers in France will be able to experience webOS 2.0 first. Palm says that "the webOS 2.0 update will be delivered to existing customers in the coming months," but what that exact timeline will be is still unclear. Hopefully Palm's original goal of delivering webOS 2.0 before the end of the year will apply to existing devices as well as the Palm Pre 2. While we can't review the hardware of the Palm Pre 2 (it is pre-production, after all), we have been putting webOS 2.0 through its paces for the past few days and have plenty to tell you about its performance, graceful touches, near misses, and glaring omissions. Can webOS 2.0 help keep HP and Palm competitive in the hyper-competitive smartphone landscape? Read on to find out! It features a 1GHz processor, double the speed of the Palm Pre and Palm Pre Plus. It has a 5-megapixel camera, a step up over the 3MP shooter on the Pre and Pre Plus. It has a flat, glass screen fronting a device with what Palm calls a "sleeker, streamlined design." Overall, if you're familiar with webOS, webOS 2.0 isn't going to feel like a radically different OS (If you're unfamiliar, check out our original webOS guide for more information). 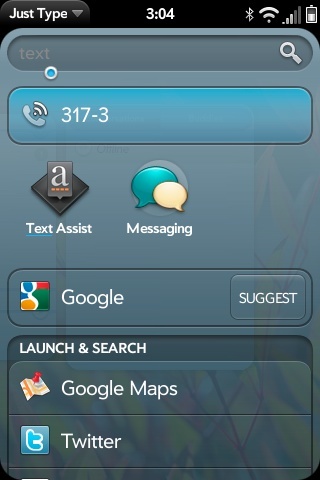 Palm's stated goal for 2.0 was to enhance the elements of webOS that they feel already gives them a leg up on the competition: 'true' multitasking, universal search, and Synergy. 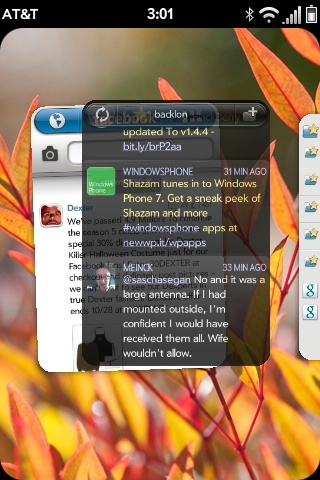 All are present in webOS 2.0, just refined. 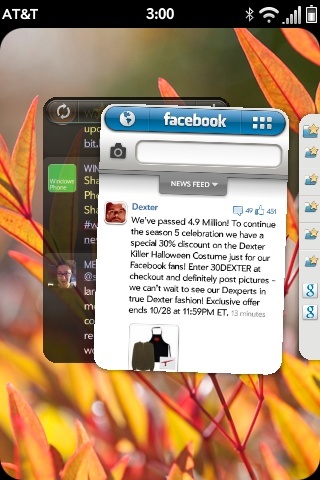 Instead of a flat array of cards for your running apps, webOS 2.0 lets you stack them up. Instead of a universal search, you have 'Just type' with expanded search capabilities and the ability to initiate 'quick actions.' Instead of waiting on HP to provide more sync sources for Synergy, developers can provide sync sources independently. 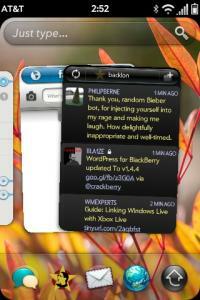 Still, the overall experience of webOS is largely unchanged. 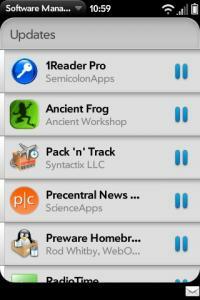 Although every app is listed at version 2.0, the vast majority of them are functionally unchanged. The launcher and phone app have both received some much-needed TLC, which we'll get to in just a minute. 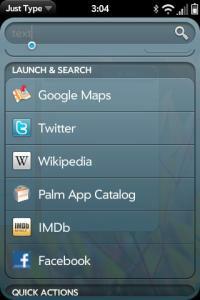 Under the hood, Palm has added all sorts of developer-friendly APIs as well as plenty of tweaks to speed things up. There's a new background-services model based on node.js, hardware-accelerated transitions, and a new database structure called db8 underpinning the apps. Back to speed: The net effect is that the biggest change you'll see in webOS 2.0 is things are much faster throughout -- there's much less wait time as apps load and fewer frustrating lags and jags. Obviously that 1GHz processor is going to make things faster and definitely has a part in the overall snappiness of webOS 2.0, so keep that in mind. The difference between a stock Palm Pre Plus and this Pre 2 running webOS is marked, but not as extreme if you're an overclocker. As you can see in this video, I was able to open well over 50 apps -- running into problems only when I taxed the system by opening multiple 3D games. The remarkable thing is that web pages in the background stayed properly loaded instead of having to be re-loaded when I returned to them. I've only been using webOS 2.0 on the Palm Pre 2 for a few days now, so the jury is still out on battery life. I've been driving the phone pretty hard and lasting through most of the day, but there's not enough of a difference between when I'm experiencing here and on 1.4.5 for me to say battery woes are a thing of the past. At the very least, battery life is not worse -- my estimate so far is that it's the same or slightly better. 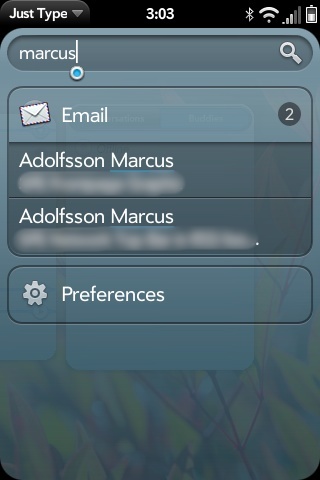 Although it's perhaps not as noticeable as the Stacks feature, my favorite feature in webOS 2.0 is "Just Type." Previously known as "Universal Search," Just Type is a system instant-search that adds in extra functionality. I'm going to go in depth here because it's a powerful feature that is likely to be 1) under-appreciated 2) become a source of much confusion to consumers due to a slightly confusing interface mapped to a very powerful set of features. 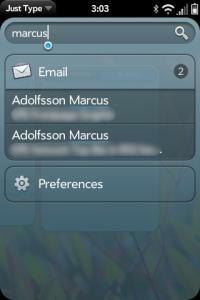 As before, you can just start typing a contact name or app name to find them immediately. One nice bit with contact search -- if a contact is on your favorites list in the Phone app, their name appears with a star (sadly, there still isn't a way to assign a primary phone number within a contact that gets identified within Just Type). 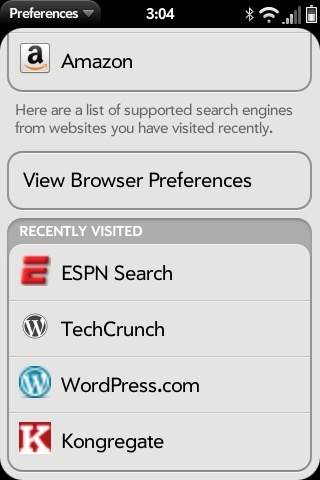 The addition of the other direct searches is much-needed and very useful. Email actually searches every synced folder, not just the inbox (however sub folders are still not automatically synced in webos 2.0). 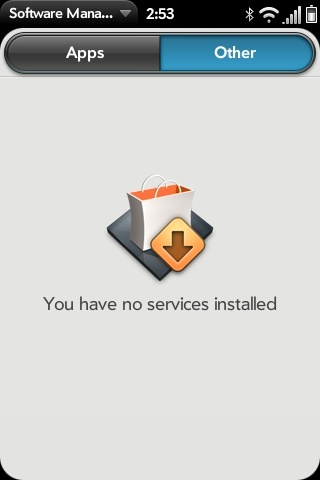 There are plenty of other apps that aren't included that certainly should be, however. Memos, Tasks, Calendar, Music, text messages, IMs, and Office Documents are all the sort of local bits of data that really should be exposed to Just Type but are missing. There is an API for third party developers to add their own apps to Just Search so their apps can also display results directly within the Just Type interface. Hopefully enterprising developers will find ways to fill in the gaps above. You can search Google (or other search engines) by tapping on the Google button and there's also a "Suggest" button on Google that will query and give you a direct drop down of suggested searches -- a function that should be a godsend for spelling those 25-cent words. Of course, you can still directly type in a URL in Just Type and hit Enter to open a web page. What's great about this section is that other apps can register themselves as available, as can web pages. 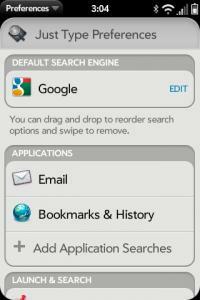 Any webpage that uses the OpenSearch protocol will get recognized by webOS. When you visit the site, a notification will pop up letting you know it can be made available to Just Type as a Launch & Search option. Most Wordpress sites do it by default. Conveniently, we added OpenSearch functionality to PreCentral.net last night. 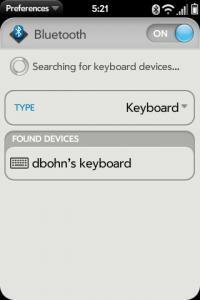 When you visit us with a webOS 2.0 device, you'll be able to add PC as a default search option. Additionally, webOS apps can register themselves for Quick Actions -- as Palm's Facebook 2.0 Beta did, which meant I could update my Facebook status straight from Just Type. ... well, almost straight from Just Type. What I had hoped for was an action interface that didn't even need to launch an app to work (just type, hit tweet, move move on my merry way). Instead what happens when you select a Quick Action is the app launches and the text you've typed gets passed into the appropriate text field. It's still super convenient, but not quite the "Mac Quicksilver on a phone" I dreamt about. Perhaps third-party developers will be able to refine Quick Actions in their own apps to make things a bit more efficient. Nearly every Just Type section / setting can be removed, re-ordered, and re-added from the Just Type preferences, located at the very bottom of the Just Type screen (but not, strangely, in a simple Just Type Preferences App). Those preferences also also have a button to search the App Catalog for more Just Type services as they become available. If you haven't gathered from the 800-plus words so far on just this subject, Just Type is a very powerful but also very complex feature. If you were wondering why Palm decided to switch the name from "Universal Search" to "Just Type," your first answer is that it does more than search. Your second answer is that Palm is trying to make a very complex set of features seem more approachable. They've made it more prominent by adding a permanent Just Type search bar on the home screen (and no, there is no virtual keyboard that pops up when you tap it). Maybe the best answer is that the only way to really understand the feature and get the most out of webOS is to, yeah, Just Type. With a little practice you can "trust" the system and get to what you want to do much more quickly and efficiently that is possible on any other smartphone platform. Unfortunately, that efficiency only comes after spending some time poking around the settings and getting your bearings. Even though Just Type seems to have some strange blind spots with regard to search, after only a couple of days I don't know that I'd want to do without it. Once third-party developers start plugging their apps into it, I suspect it has the potential to be one of the "stickiest" features webOS has to offer. The most prominent new feature in webOS is definitely Stacks. Palm has taken their marquee advantage over other platforms and enhanced it by making it easier to have multiple apps open and organized. The basics are fairly straightforward: you can drag a card on top of another card and they become grouped -- stacked -- together. When you do something in an app that launches a new card -- like tapping a link or starting a new email -- that new card gets stacked on top of the card you initiated it from. Combined with enough RAM to let you have as many cards as you like (up to an unreasonable 50-plus apps), the Stacks feature means that I am no longer closing apps when I'm done with them. Because I can stack cards together, it becomes less of a chore to jump between apps because there are fewer swipes between them. 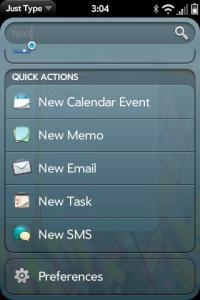 A PIM stack with calendar tasks and memo. A social stack with Facebook and Twitter. That's a simple setup for when I'm working. In other situations it might make sense to leave my camera open, to have a stack with Yelp / Foursquare / Google Maps. A music stack. A Tripit / FlightTrack stack ... and so on. 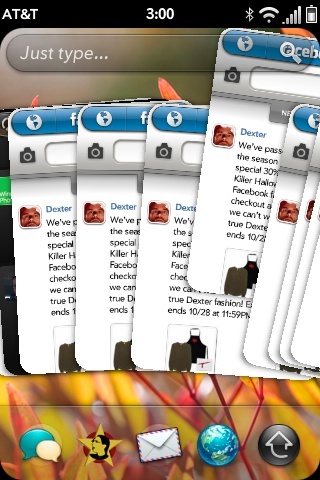 A clever feature that Palm bought with their Facebook 2.0 Beta is the ability to have a single app use multiple cards. The email app has done this with draft messages before, but with stacks I hope both Palm and third-party developers continue the trend. 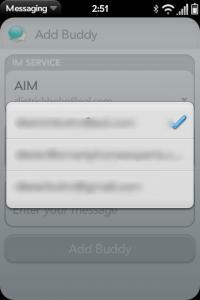 The IM/SMS app, in particular, should have an option to open a conversation in a new card. One subtle change Palm made is that if you're in the middle of a bunch of cards and open a new app, it opens in the spot immediately to the right of where you currently are -- whereas before new apps always opened at the far-right position. It's makes it easier to stack related apps together. More important: it's a necessary change because Palm also changed the UI for re-arranging cards. Before when you started moving cards all of the cards shrunk down to a small size so you could quickly slide a card left or right. Now the cards don't get much smaller and the movement is much slower because you have to wait for the UI interaction that offers you a chance to either stack a card on top, behind, or move to the next open slot. As far as that interaction goes, it's pretty simple: when you're stacking a card, both the active card you are dragging that the card that's offering to be stacked tilt slightly to the side. When you're looking at a fan of cards, you can fairly easily select and swipe any card in the stack. Overall that slower card moving is a hassle, but well worth the tradeoff. The only real issue I have with Stacks is that it pushes the limit of what you can do on a 320x480 screen. With more screen real estate (say on a PalmPad or simply on a phone with a higher resolution screen), the ability to have lots of apps open and ready for action would be a lot more powerful. 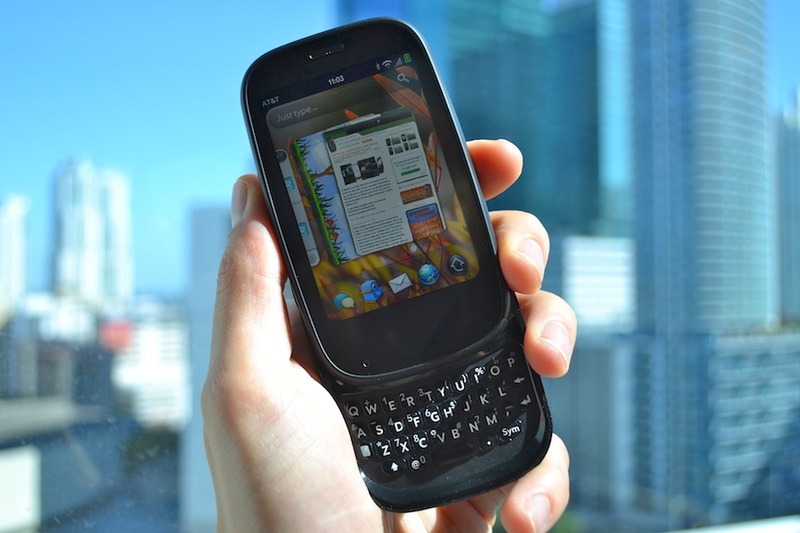 Although many Palm faithful have acclimated themselves to the relatively small keyboard on the Palm Pre and Palm Pixi, many more have been turned off by the cramped quarters found underneath the screens on these webOS smartphones. There's no getting around the fact that the smaller the keyboard, the more likely there are to be typing errors. Palm has finally recognized this and is helping to fix the issue with Text Assist -- aka proper error correction when typing in webOS. While Palm has had some autocorrect before in webOS, with 2.0 it's significantly beefed up -- with what seems like an improved algorithm for detecting mistakes, inline spell check, and an intuitive system for automatically fixing your errors. 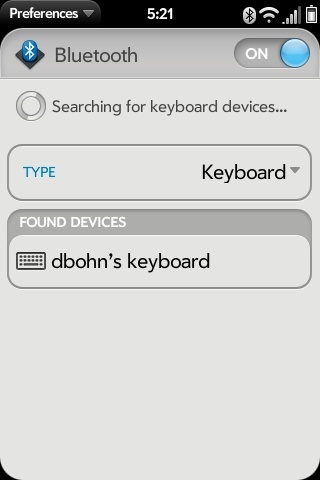 When you are typing and key in a word not in the webOS dictionary, one of two things happen. 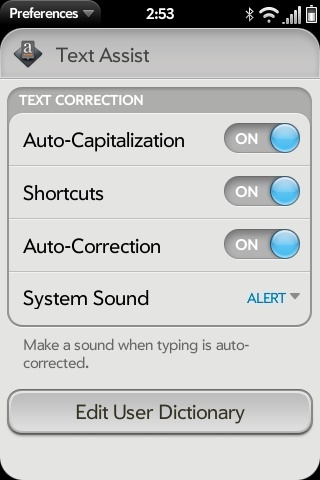 First, if it can, webOS will autocorrect the word and indicate it has done so by making a small noise (you can turn that off) and underlining the word in gray. If you like the change -- type on. If you don't, you can either immediately hit backspace to under to the change or tap on the word to bring up a pop-up menu showing your original spelling and/or alternate suggestions. If you tap on your original word, it reverts and then gets underlined in red. If webOS can't intuit a corrected version of your unknown word, it will simply underline it in red. You can tap on any red-underlined word to bring up a pop-up list of suggested replacements and swipe it left to finally come to a button with a + symbol that lets you add it to your custom dictionary. Finally, there's a Text Assist app that shows you a configurable list of all the words in your custom dictionary (for fun, try all the cuss words and note which ones webOS does or does not try to correct. You'll be surprised). 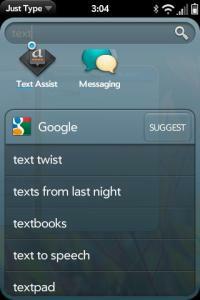 The Text Assist app is also home to your custom shortcuts. You can assign any combination of two or more letters to auto-transform into some longer or alternate string of characters. 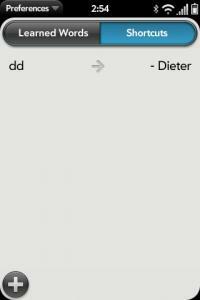 I have "pc" auto-change to "PreCentral.net" and "DD" change to "- Dieter." As with other auto-corrections, you can just hit the backspace to undo. One bug: if you try to create a replacement that's more than 64 characters long, webOS will not only reject it, but reject any further edits and remove the shortcut. In all, the Text Assist additions are welcome, but webOS 2.0 is not as smart as the iPhone's iOS as recognizing and correcting mistakes. Since we're typing on a physical keyboard, this isn't as much of an issue. However I think Palm will want to further improve their system before they release a touchscreen-only device. So hey -- Flash! It's here and it works better than I expect it to. That's not saying a ton, of course, as I expect Flash to be pretty terrible on any smartphone. Still, for the occasional flash video, simple flash game, and flash navigation it will certainly do the job. By default, Flash is on in the browser but not active -- the exact right design choice. You can tap on any Flash element to activate it. 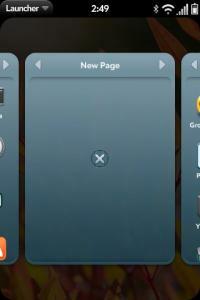 When you do, the Flash portion is surrounded by gray bars and it takes over all touch and gesture actions on the screen. You can rotate the Pre to zoom in on the Flash element. You can exit Flash Mode by tapping an X in the lower right and then pan around the web page. 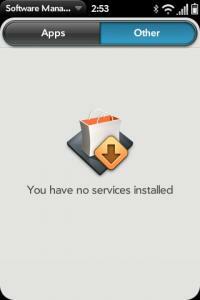 Independent Flash apps and Adobe Air apps aren't supported. In addition to Flash and the previously-mentioned OpenSearch, there's improved support for HTML5, including geolocation. I haven't noticed many other significant changes, although Google Reader and Gmail do appear to perform slightly better in my testing. Palm has also updated their launcher so better accomodate the growing (but still small) number of apps available for webOS. The revamped launcher more closely resembles the card metaphor, separating out the different launcher pages into explicit cards. The real change, though, is that you can now add, remove, and re-arrange launcher pages. 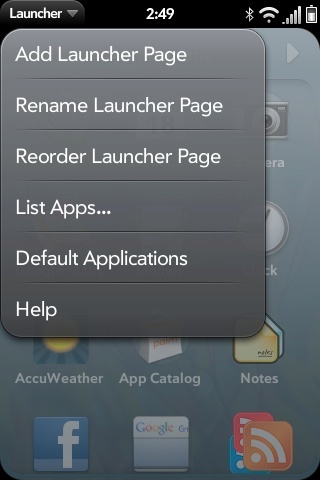 You can also rename each launcher page to better categorize your apps. Moving apps around is essentially the same experience -- down to the strange delay that can sometimes happen at the edge of the screen when trying to move an app a page over the the launcher. The quick wave bar the bottom no longer appears when the launcher is open (to better make room for those page names), so now when you add an app to the quick wave bar it also remains in the launcher. Whether Palm ditched DataViz or DataViz ditched Palm is academic now: RIM acquired DataViz and DocsToGo is no more in webOS 2.0. Instead we have QuickOffice as a document viewer. Not editor -- just a viewer. It does a stupendous job finding and downloading documents from DropBox, Google Docs, and Mobile Me. It does a pretty good job displaying those documents as well -- so long as they're standard Office docs. Hopefully we'll see a full version of QuickOffice in short order -- even if we have to pay extra for it. 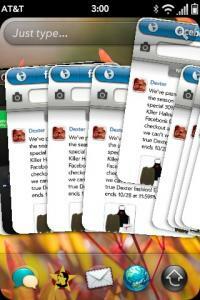 The Phone app received a minor bump. SFR customers in France will get visual voicemail. For the rest of us the big new feature is a proper favorites tab. You can add people directly from the Favorites tab within the phone app or by starring them in the contacts app. You're prompted to choose a default number inside Favorites, but you can tap on the thumbnail to bring a dropdown to dial a different number or send an SMS. 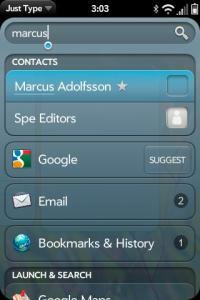 The Phone app is now skinned with a blue background. Why not, hey? 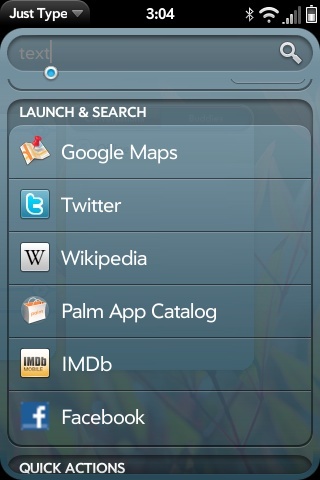 Palm has updated the App Catalog as well, brining a slightly new skin. 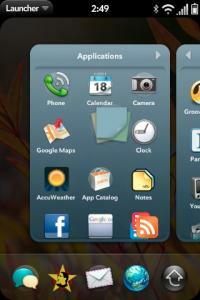 There are now two main featured apps on the home screen as well as hot apps, so there's less drilling down. 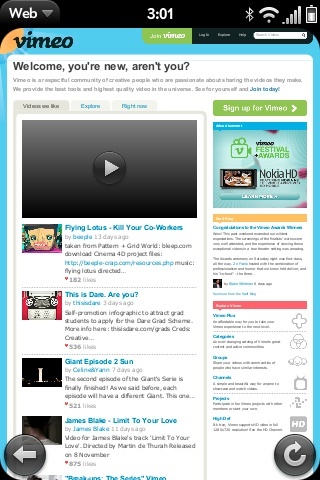 Additionally there are buttons along the bottom for top paid, top free, and most recent. It's a cleaner design overall and I like the dark look of the new skin. Two top features touted for webOS 2.0 aren't really here in full force in the version that I tested. The biggest bummer is Exhibition, which is the mode that allows apps to display when the Pre is sitting on the Touchstone charger. Palm tells us that it will come via an Over-The-Air update in the coming months. HP and Palm have opened up Synergy for third-party developers to offer more sync sources to contacts, messaging, and calendar. As of this writing, however, no such extra services existed for testing. What does exist right now is a proper Accounts Preferences app. Finally -- finally-- there is a single place where you can see all of your Synergy sources and drill down into each one to see what kind of data is being synced and turn off whatever you're not interested in. Unfortunately, that's as fine-grained as the control gets. When you plug in Facebook, it still pulls down all of your 'friends,' without giving you the option to only sync those already found in another synced address book. Ditto LinkedIn, Yahoo, etc. Speaking of Synergy-related features, the messaging app now offers Yahoo IM and, at long last, the ability to add and remove buddies from your various IM services. Facebook IM is also coming via Facebook 2.0. 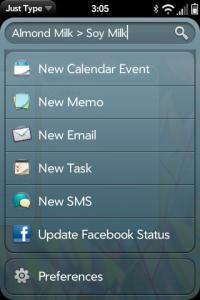 Facebook 2.0 will also bring support for Exhibition. There's one more marquee feature that I wasn't able to test: Skype. 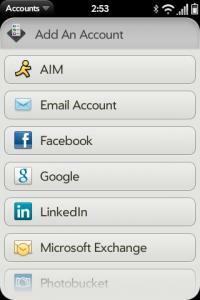 Since Verizon signed the exclusive deal with Skype, they'll have exclusive access to the Skype app on webOS. It looks as though it's mean to integrate directly into the Phone app and seems like a perfect Synergy-style service for the contacts and messaging app to us. We'll see. 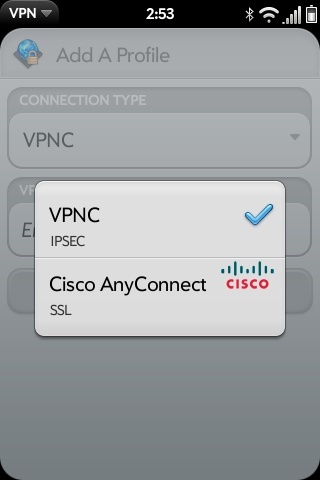 Palm has added full VPN to webOS, with support for VPNC / IPSEC and Cisco AnyConnect / SSL. 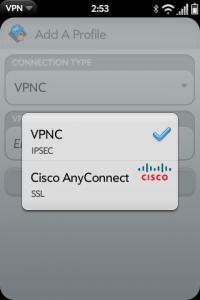 Unfortunately, we use a different VPN system at PreCentral, so I wasn't able to test this. I will note that I wish Palm didn't put it above Bluetooth in the main system menu, as it seems to be that most people are likely to want to toggle Bluetooth more often than VPN. I mentioned some of the backend improvements at the top of the review: Node.js as a runtime environment that will bring faster data access, the db8 database structure which offers faster sync with cloud services, and hardware-accelerated CSS transitions to speed things up in the graphics department. In addition to the above, HP is allowing full 'hybrid' PDK/SDK apps in now, which means we can see apps that combine native code with standard webOS elements. As always, HP/Palm will let developers compile however they'd like. There are new APIs for developers as well, most prominently microphone, camera, and media library access. Email is significantly faster, so while I'd still like to see threaded messaging and sub-folder sync, I'm not going to harp on it. Many of the other apps listed above don't need all that much improvement to begin with, but the fact that Google Maps hasn't been updated at all is pretty terrible when you consider how well the indie BFG Maps works. Ditto the Music app when we've seen Music Player Remix and NaNplayer. And so on. 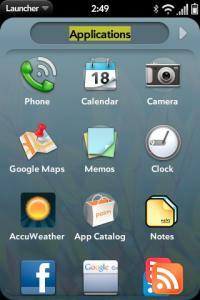 The boot up time on webOS 2.0 is much faster than 1.4.5. It still a slow boot, but it's moved from "completely intolerable" towards "bemusingly long," so that's a win. Another win: Bluetooth keyboard support. It's a little twitchy, however, as whatever Bluetooth keyboard you connect acts exactly like the built-in keyboard on the Pre, right on down to the shift key acting as a caps-lock if you hit it twice. Try as I might, I could not get a key to map to "Meta" for "Meta-Tap," which meant that cut and paste required a trip up to the Pre itself. Since there's no "undo" in webOS, I did lose some text here and there as I tried to hit "Ctrl-C" to copy and webOS read it as "Opt-C," and replaced the text I was trying to copy with the number 8. Palm points out the Bluetooth keyboard support isn't important just for keyboards, but also because it offers support for barcode scanners and lock boxes. In the interest of completeness, here are the supported Bluetooth profiles: HFP/HSP, A2DP, PBAP, PAN, AVRCP, OPP, SPP, HID. Although I haven't had a chance to test it, Palm told me that webOS 2.0 is smarter when connecting to WiFi networks that require you to open a browser window and enter a login screen - so called "Captive" WiFi Networks. 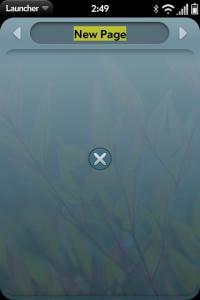 When webOS 2.0 sees that it is connected to WiFi but can't connect to the internet, a notification pops up prompting you to open the browser and log in. Palm has separated out App updates from both the Updates app and the App Catalog -- there is now a separate "App Manager" app that does just that. I've seen a few crashes and weird behaviors -- but I can attribute them all to either my crazy 55-app launch-a-thon or to pre-production hardware issues. I've had one app (Scoop) not work properly and seen a couple mysterious error dialogs that didn't seem to affect anything adversely. In all, webOS 2.0 seems stable and fast. WebOS 2.0 is without question the biggest webOS update we've seen since Palm first unveiled webOS at CES in January 2009. You could argue that the main features -- Stacks, Just Type, Exhibition, improved speed, and a bevy of developer tools are mainly evolutionary and you wouldn't be wrong. However, the sum of these updates adds up to an OS that is coming into its own. Rather than try to play catch-up with Apple's iOS and Google's Android, HP chose to bolster webOS' advantages over those platforms. 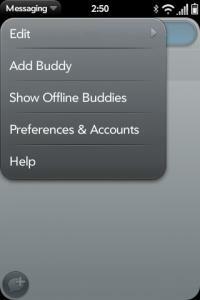 webOS 2.0 is not a me-too operating system. It's a smart move, but plenty of work remains to be done. It's absolutely vital that HP get more developers on board creating apps that take advantage of those unique strengths as well as fill in the gaps where webOS isn't keeping up with the competition. webOS 2.0 is a solid release, but the final verdict won't be in until we see what developers do with the new functionality they have to work with. Five and a half months into HP's acquisition of Palm, it still feels a bit like we are looking at platform put together by an overachieving, scrappy underdog instead of a by the largest technology company on the planet. Given the engineering realities of building a complete smartphone OS, that shouldn't be a surprise. But it will be a disappointment if HP can't capitalize on the work done to further differentiate webOS 2.0 by giving their Palm division the resources necessary to increase the rate of innovation. WebOS 2.0 still has an edge on the competition in certain categories with the advantages it had at launch: best of breed smartphone multitasking, unobtrusive notifications that can let you act on (or ignore) alerts without leaving your current app, convenient management of WiFi and Bluetooth, deeply-integrated web standards, easy development, Synergy.